Having a problem with TroopWebHost? A question on how to do something? Or an idea for making it even better? 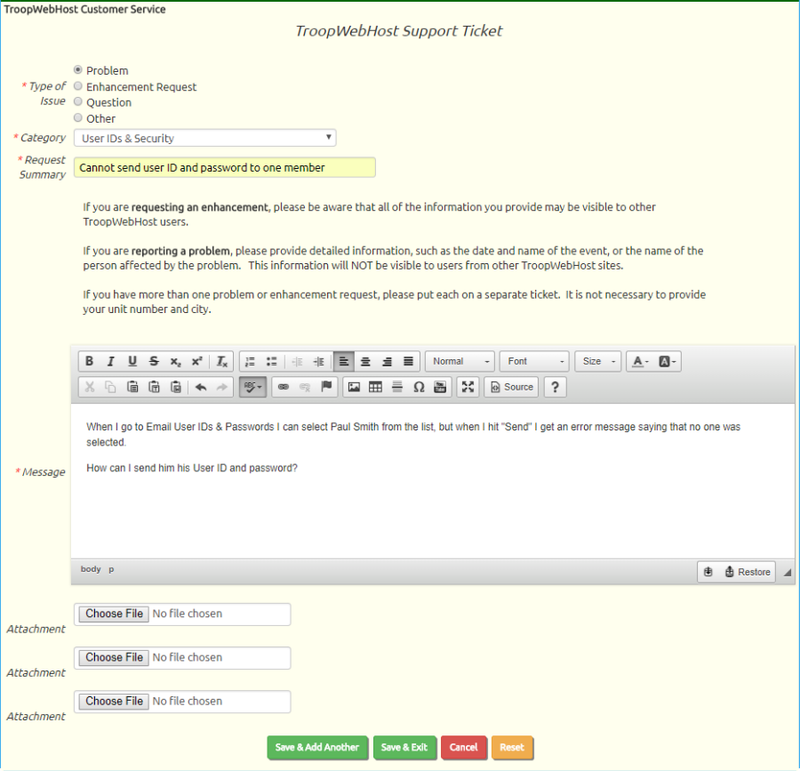 TroopWebHost has its own built-in customer service support ticket system for processing all of these issues. 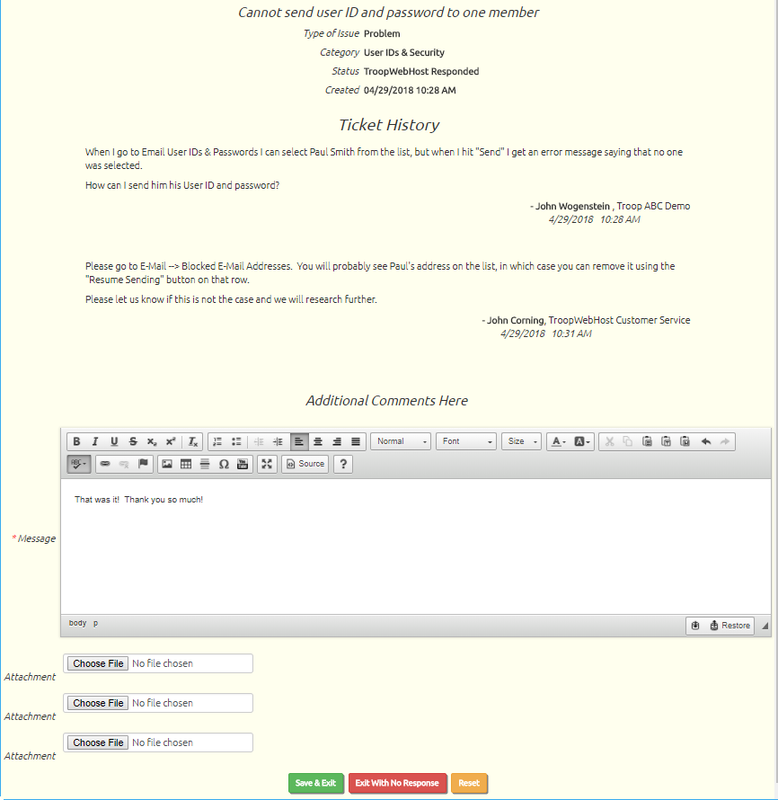 Select My Support Tickets to view all tickets that you've personally submitted. Select Type of Issue and Category from the choices provided. Provide a concise summary of your request in the Request Summary. This will serve as the title for your request. Provide a detailed description in the Message box. If you are reporting a problem, please provide details like the date and name of the event, or the name of the scout, or the date of the transaction in question. If you are having trouble with an upload program, please attach the files you are trying to upload. Site administrators are also authorized for My Unit's Support Tickets. 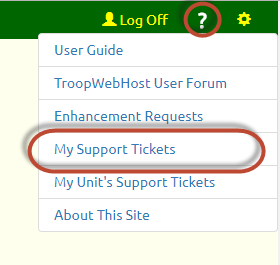 This will allow them to view and update the support tickets submitted by any members of your troop or crew. 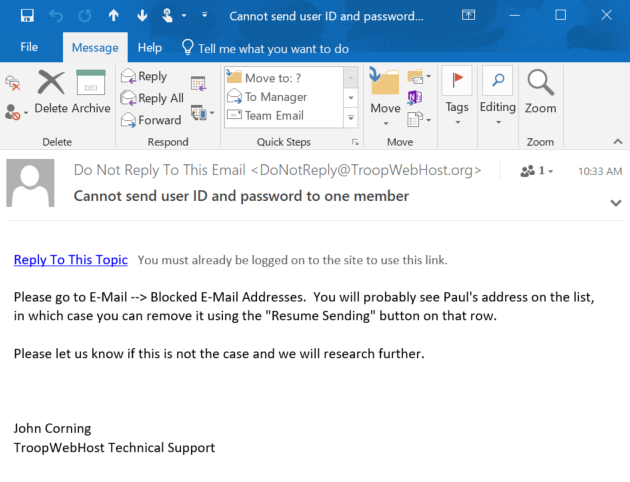 You may authorize additional roles for this function with the "TroopWebHost Support Ticket - My Unit" task.